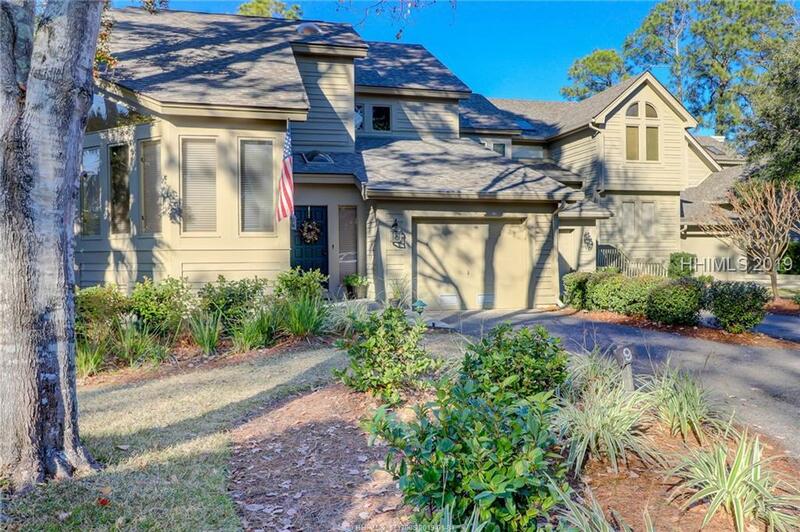 Spacious 3 BR, 3 1/2 BA end unit townhome with panoramic marsh views! Two story living room with fireplace, lots of glass and access to a huge rear deck. First floor master suite, eat-in kitchen and large dining area with a wall of windows bringing in the expansive marsh views. 2 en-suite guest bedrooms on the second floor, one car garage, laundry room and abundant storage. Complex offers private pool and tennis. Home is fee simple.